We are excited to announce that Peter Boches has been hired as our Blueberry Breeder & Breeding Program Manager at Fall Creek. In his new role, Peter will be responsible for developing new blueberry varieties through our private breeding program as well as through collaboration with other blueberry breeding programs we work with around the world. 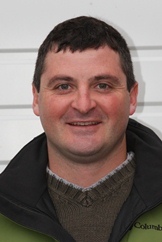 Peter will also manage the Variety Development Program and lead the Research and Development department. “We are delighted to have Peter Boches join our team at Fall Creek. Pete’s technical training and practical experience expands our commitment to bring the very best varieties to our customers. In our variety development collaborations and own private breeding, we have to bring forward not only the varieties for tomorrow, but for the long-term sustainability of the industry in all key geographies. With Pete’s tremendous background in genetics as well as his practical approach to the breeding process, I am excited to bring him into this leadership role at Fall Creek. Peter received his undergraduate work in Plant Sciences at Cornell University and then went on to earn his Master of Science and Ph.D. in Horticulture (Plant Breeding & Genetics) from Oregon State University. His most recent professional experience was in onion breeding for Nunhems USA. Boches has breeding experience in other food crops as well including blueberries, tomatoes, raspberries and other small fruits and vegetables. We are all thrilled to have Peter on board at Fall Creek. Stay tuned for exciting things to come from our blueberry breeding program!